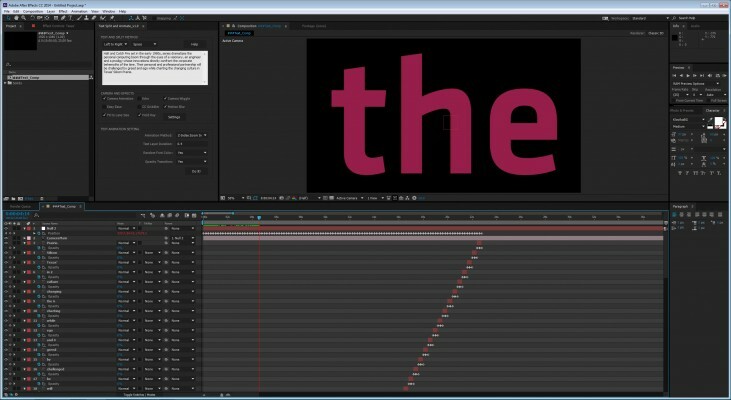 Instantly create multiple text layers with animation. 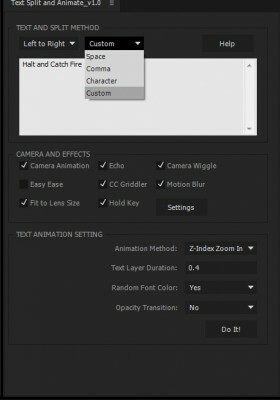 Text Split and Animate make it easy to split text based on input and separator rules you choose. you can add different animation presets ,choose duration for each text layer and play with more settings that will help you get started faster with your project. Save time on creating text layers manually, having 2D/3D animation for the start point of a project, subtitles and much more. 1. Split text according to your input and separator rules. 2. Support different languages text split. for example English (left to right) or Hebrew (right to left). 3. 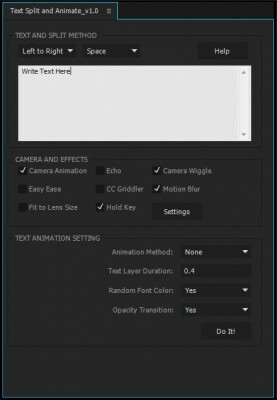 Camera animation, including Easy Ease and Wiggle settings. 4. Text layers effects: Echo, CC Griddler. 6. Text Layer Duration option. 7. Random Font Color option. 1. Choose from what direction to read each split: from Left to Right (for example: English) or Right to Left (for example: Hebrew). 2. Choose split method, You also have the option for manual method. 3. Write the text you want to split and animate. 4. 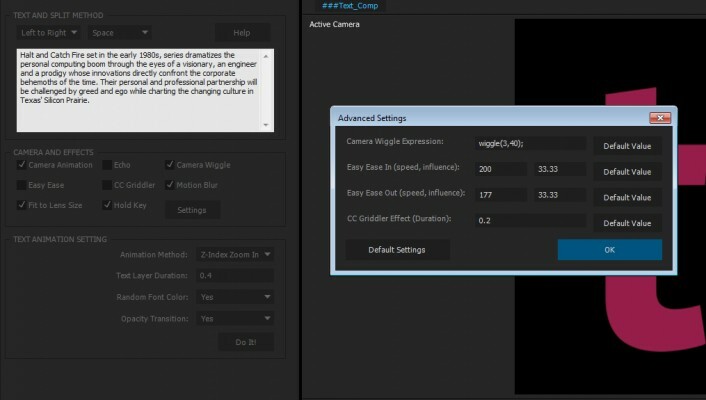 Camera and Effects: choose the settings you would like, press on “Settings” button to manual refine some of the properties. 5. Choose animation method, or in case you don’t want animation just choose ‘None’. 6. Choose the duration of each text layer. 7. Choose random font color or just the default color you are using in the AE Character palette. 8. Choose if you want an opacity transition between each split. 9. Press the “Do It!” button. 10. You should see a new comp named “###Text_Comp” that will include the finish product. The 1-week free trial version can be downloaded above and is limited to 125 text characters per process. Automated Video Editing automates the whole video editing process synced to the beat of the music.